David Hochwald D.D.S. received his dental degree in 1976 at Loyola University in Chicago, where he also underwent his oral and maxillofacial surgery training and residency. 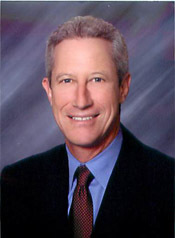 He has been in private practice and clinical research since 1980 in Bellflower and Huntington Beach, California. Dr. Hochwald is a Diplomate of the American Board of Oral and Maxillofacial Surgery. He is a Fellow in the American Association of Oral and Maxillofacial Surgeons, a Fellow in the Academy of Dentistry International, and a Fellow in the International College of Dentists. He is a Clinical Professor and past Director of Undergraduate Studies in Oral and Maxillofacial Surgery at the University of Southern California and Director of the USC Surgical Implant Program. He is active in the Academy of Osseointegration and Past President of the Osseointegration Study Club of Southern California. His area of interest is preprosthetic surgery including major and minor bone grafting, dental implants and esthetics.